Let me not be too dramatic. My experience was dreadful for 2 reasons. First, this is the middle of May and i’m getting married in August, so my dress options were GREATLY limited. I have to buy what’s available for sale in store and sort out any alterations i may need and secondly, usually, when i go shopping, i just see stuff i like in my size and buy it. When i get home and i don’t like it, i either sell it or give it away, hugely dependent on how much said item cost me. LOL. Not this time. In one day, i tried on like 15 dresses. I almost lost my mind! It took a lot from me…i can’t explain it. Anyway, i went to 2 stores, one a day, and all i’m going to say is i’m glad i’m going to be married to my fiance forever. Because i cannot imagine doing this again. Full stop. 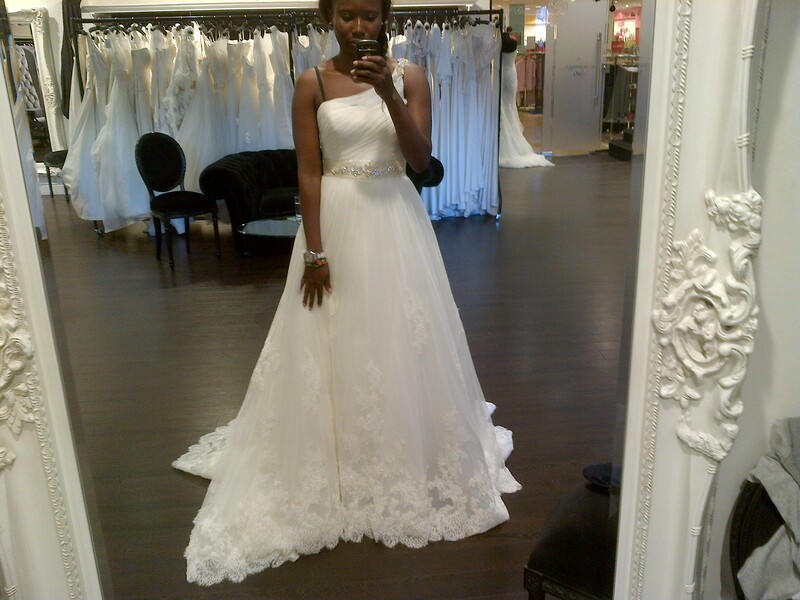 And then i tried on the Platino by Pronovias. I absoluely loved it! But it was an absolutely bad idea to try on a dress that was above my budget first because nothing lived up to it. The Platino was another beautiful A line dress i was going to consider, within budget, but it didn’t make the cut. Blame the Diosa bias. So i tried on a million other dresses, not a million sha, like 12, mostly Lusan Mandongus and Pronovias, found nothing that spoke to me and then i tried on the Grecia by Pronovias and it was perfect. I didn’t get it because i didn’t like the neckline. LOL. Simple. At this point, i was exhausted, i needed food so i headed out to Nando’s…my happy place. Made an appointment for the next day at another bridal parlour, woke up bright and early, showered, had breakfast, put on a full face of make up and set out. Today, i was determined. I only had a few days before i had to return to Nigeria. I.DID.NOT.HAVE.TIME. 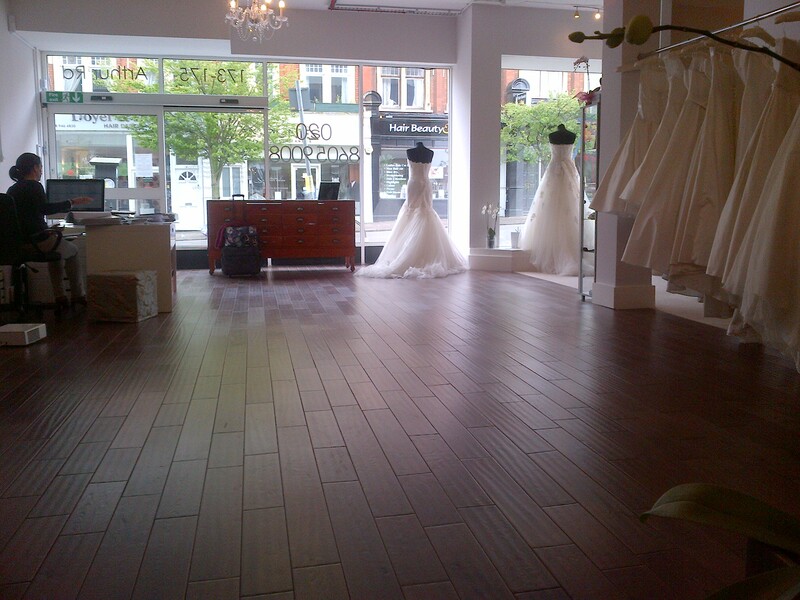 I got to The Wedding Shop at Wimbledon Park and felt at home immediately. The first dress that caught my eye was the Diosa. Again! AGAIN! Tell me it wasn’t following me. I walked over to it, checked the price tag, lower than at Teokath but still above budget. Guess what i did… I WALKED AWAY! I pooled all the strength i had and i walked away from that Diosa. Whew. It wasn’t easy. But i did it. I did it. I looked around, chose about 3 dresses, made sure to stay within my budget and got to trying them on. 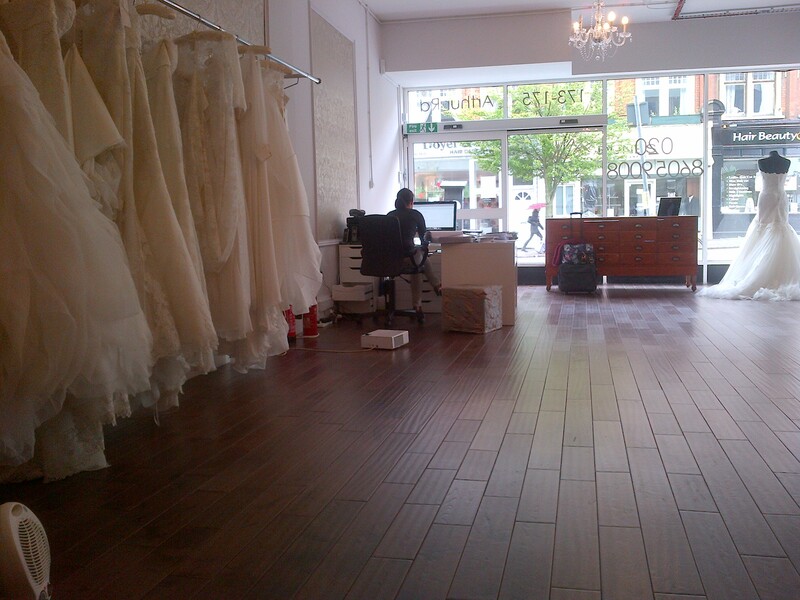 First was Bristol by Pronovias. Yet ANOTHER A line dress that looked absolutely amazing. At this point, i thought i’d found my dress…until i took it off and put on the 2nd dress. In my mind, i knew i was home! I tried the 3rd dress on, just to be sure but it paled in comparison. It paled so badly, i don’t even remember the name or who it was by. It was a beautiful dress but it wasn’t mine. Dress 2 was my dress. I was home.